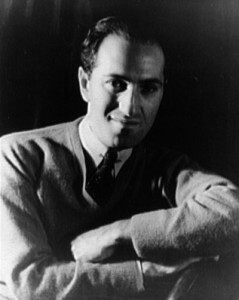 Born in Brooklyn, Gershwin was one of the most important of all popular American composers. He wrote highly successful Broadway musicals, which included some of the most beautiful of American popular songs (many with lyrics by brother Ira), and also major orchestral compositions, the most famous of which is Rhapsody in Blue, which successfully combines elements of the classical piano concerto with 1920s jazz. He called his 1935 Porgy and Bess an “American folk opera.” Filled with beautiful music, it featured an all African- American cast.